Sometimes I swear that it is my blog hops that keep me on track. Otherwise, I have found that I tend to lose all sense of time. And Lisa of Pine Ridge Treasures hosts some of the best blog hops. So thank you Lisa for helping to keep me squared away. Lisa sent us participants in this hop a large selection of glass pearls, crystal, some polymer beads as well as tourmaline and amethyst stones and czech glass. I have to admit that I saw the beautiful pale green of the pearls and never made it any farther. I did end up making two necklaces with them though so hopefully that counts. This first necklace has those gorgeous pearls, some of the prettiest snake stone jasper I have ever seen and a stone focal of Cali Lillies. It has such a feeling of freshness, spring and new beginnings. Those are some of my favorite things. 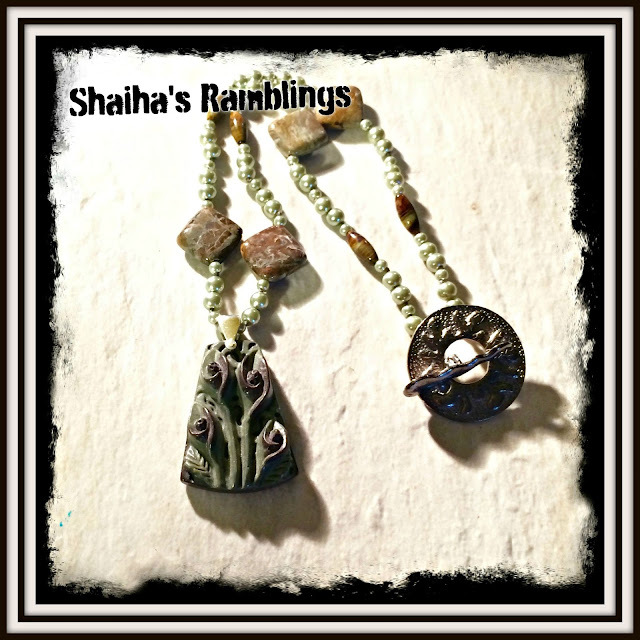 Next up is this lovely necklace featuring a dragonfly which is one of my totems. They are a beautiful insect that symbolizes changes. I also used some more of the glass pearls as well as some Tiaria crystal from ZNetShows which changes from green to purple and back again. I hope that you enjoyed seeing a few of my favorite things. Now check out and see what everyone else has come up with. Just click here to be taken to the list of participants. Each beautiful! I often forget about pearls when designing, but they are really lovely. Two great necklaces! I am pretty jealous of those photos too. They look wonderful. I am the same way, I am so glad for the blog hops and challenges because without them I'd never post! I love both your necklaces, they are beautiful. Great collection. I would have been drawn to the purple as I am a purple person...lol. But I love what you came up with. 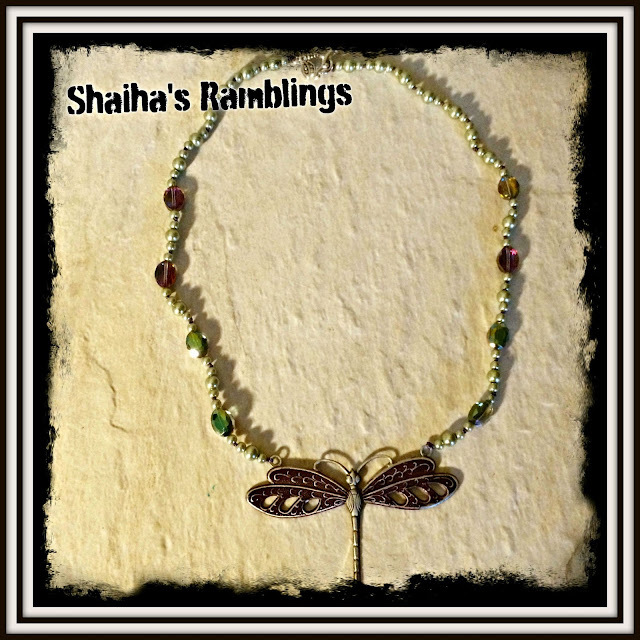 Excellent choice of beads and I really like the dragon fly one...Thanks for posting. Great minds think alike, not only do we get great pieces of Jewelry it motivates us new Artist to blog. My favorite is the Lily Pendant Necklace. Love, love, love your necklaces! And these challenges keep me on track too! You got a great kit! But I can see why you focused on those pearls. You picked two perfect pendants. That cala lilly one if fabulous. And I love dragon flies. Great work! 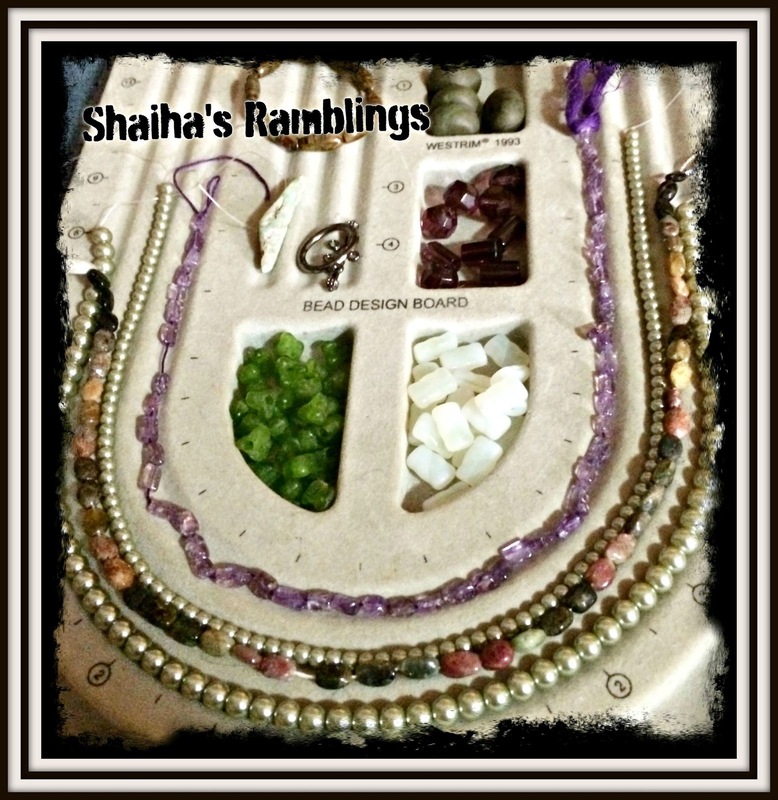 Love both necklaces, Shaiha! This was my favorite kit of all. So organic and earthy. Thanks for being in the hop!